14.75" x 18.75." Ink, pencil and gouache on illustration board. 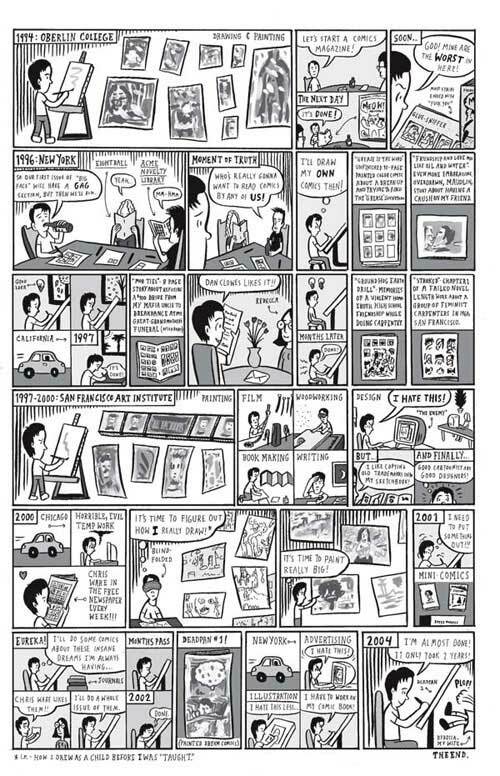 Originally published in Steve Heller's "Education of a Comics Artist." Please note: when you click 'Buy some art! ', this piece will be marked 'sold' and David Heatley will contact you to arrange payment. Please respond within three days, or the art may be made available for sale again. If you have a question about art from David Heatley, mail us.